This post is both a bit of a hang-over and the hang-over cure. I'm experiencing the headache of coming back to reality after spending a dreamy week at Food Blogger Camp. 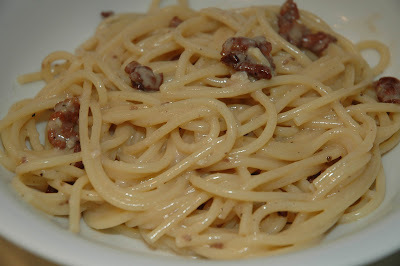 One of the cures has been cooking up some comfort food described by one of our fellow food bloggers: Casey's No-Fail Carbonara on her blog Good. Food. Stories. Please check out the full recipe on her site. 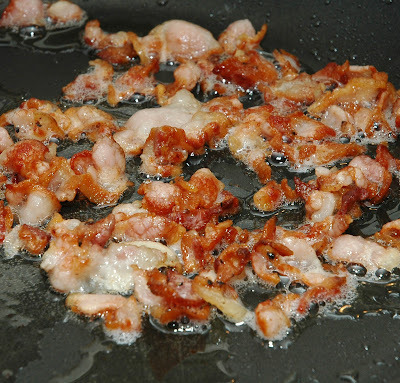 Start by frying the pancetta . . . as you can see I mistakenly used the non-stick pan and missed out on maximizing brown bits. Add a healthy bit of garlic, cook some more and then deglaze with whatever you're drinking . . . white, red, or vermouth. Set aside while you're boiling the spaghetti. 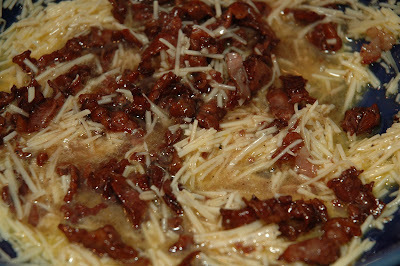 Add the pancetta and garlic to an egg and Parmesan cheese mixture you've already created in the serving bowl. When the pasta has been cooked and drained combine with with the pancetta/egg/cheese mixture. The heat of the pasta will simultaneously cook the egg and melt the cheese bringing it all together in one delicious and simple plate . . .
You can devour it as it appears here or add a little more cheese. For me this truly is comfort food because it is simple enough in components and construction that it is now imprinted on my brain and I could replicate this anytime . . . perfect for helping you out of a hangover haze. You just jogged my memory on how much I enjoy carbonara! 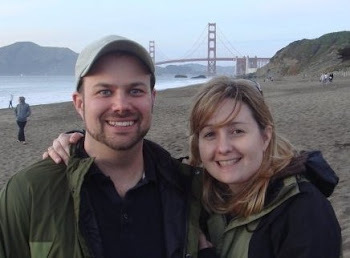 Loved your photos of the sizzling bacon. It was as good as it looked! I hope you are inspired to make up a batch. It's perfect comfort food this time of year. It was great! Almost like a easier, tastier mac n' cheese! I deglazed w/white wine, not sure hw it would come out with red which was also an option. Anything with No-Fail in the title is made for me!